Dedicate the 1st (Sat) to wine at some of the top wineries in the area. There's still lots to do: stroll around Retiro Park, admire the striking features of Plaza Mayor, admire the masterpieces at Museo Nacional Centro de Arte Reina Sofia, and examine the collection at Prado National Museum. To see ratings, maps, reviews, and more tourist information, you can read our Madrid trip builder tool . Hobart, Australia to Madrid is an approximately 30-hour flight. You can also do a combination of flight and train. The time zone difference when traveling from Hobart to Madrid is minus 9 hours. Plan for a bit warmer temperatures traveling from Hobart in May, with highs in Madrid at 28°C and lows at 13°C. Finish your sightseeing early on the 1st (Sat) so you can take a train to Barcelona. Spend the 3rd (Mon) among aquatic life with a scuba or snorkeling tour. There's much more to do: admire the landmark architecture of Basilica of the Sagrada Familia, pause for some photo ops at Casa Batllo, walk around Parc Guell, and don't miss a visit to Las Ramblas. For more things to do, traveler tips, maps, and tourist information, refer to the Barcelona tour planner. Traveling by train from Madrid to Barcelona takes 3 hours. Alternatively, you can fly; or drive. While traveling from Madrid, expect little chillier days and about the same nights in Barcelona, ranging from highs of 30°C to lows of 22°C. 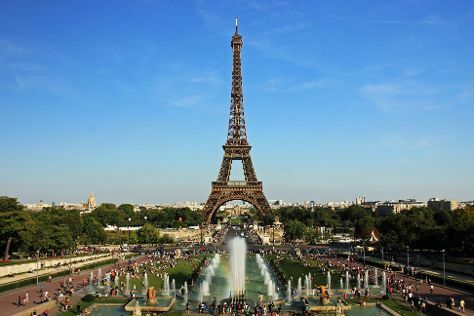 Wrap up your sightseeing on the 5th (Wed) early enough to travel to Paris. Go for a jaunt from Paris to Versailles to see Palace of Versailles about 48 minutes away. Next up on the itinerary: don't miss a visit to Eiffel Tower, take in the architecture and atmosphere at Basilique du Sacre-Coeur de Montmartre, wander the streets of Île de la Cité, and shop like a local with Le Marais. To find more things to do, maps, and other tourist information, you can read our Paris trip itinerary maker tool . Traveling by flight from Barcelona to Paris takes 5 hours. Alternatively, you can do a combination of train and flight; or drive. Expect a bit cooler temperatures when traveling from Barcelona in June; daily highs in Paris reach 27°C and lows reach 15°C. Finish up your sightseeing early on the 9th (Sun) so you can catch the train to London. London is known for museums, nightlife, shopping, historic sites, and parks. Your plan includes some of its best attractions: snap pictures at Tower Bridge, get a sense of history and politics at Houses of Parliament, contemplate the long history of Westminster Abbey, and take in the architecture and atmosphere at St. Paul's Cathedral. For traveler tips, other places to visit, photos, and other tourist information, go to the London trip maker site . You can take a train from Paris to London in 2.5 hours. Other options are to fly; or drive. Traveling from Paris to London, you'll gain 1 hour due to the time zone difference. Traveling from Paris in June, expect nights in London to be about the same, around 13°C, while days are a bit cooler, around 23°C. 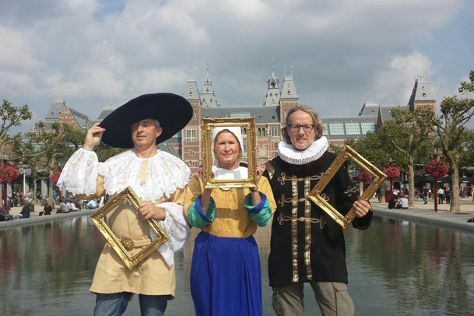 Wrap up your sightseeing on the 13th (Thu) to allow time to travel to Amsterdam. Amsterdam is known for museums, nightlife, parks, breweries & distilleries, and shopping. Your plan includes some of its best attractions: take an in-depth tour of Van Gogh Museum, explore the activities along Emperor's Canal (Keizersgracht), tour the pleasant surroundings at ARTIS, and have fun and explore at NEMO Science Museum. To see photos, maps, ratings, and more tourist information, refer to the Amsterdam online trip itinerary planner . You can fly from London to Amsterdam in 3.5 hours. Alternatively, you can take a train; or do a combination of train and flight. The time zone difference when traveling from London to Amsterdam is 1 hour. In June in Amsterdam, expect temperatures between 23°C during the day and 13°C at night. Wrap up your sightseeing on the 17th (Mon) early enough to travel to Venice. Take a break from Venice with a short trip to Scrovegni Chapel in Padua, about 54 minutes away. There's lots more to do: contemplate the waterfront views at Canal Grande, admire the masterpieces at Gallerie dell'Accademia, hit the best photo ops around with an inspiring photography tour, and admire the striking features of Doge's Palace. For traveler tips, reviews, ratings, and more tourist information, go to the Venice sightseeing planner . Traveling by flight from Amsterdam to Venice takes 5 hours. Alternatively, you can do a combination of flight and train; or drive. Traveling from Amsterdam in June, things will get a bit warmer in Venice: highs are around 32°C and lows about 20°C. Cap off your sightseeing on the 21st (Fri) early enough to travel to Rome. Rome is known for historic sites, nightlife, museums, classes, and shopping. Your plan includes some of its best attractions: steep yourself in history at Colosseum, get to know the fascinating history of Piazza Navona, admire the masterpieces at Vatican Museums, and admire the striking features of Pantheon. For where to stay, reviews, and more tourist information, read our Rome trip itinerary maker tool . You can fly from Venice to Rome in 3.5 hours. Alternatively, you can take a train; or drive. In June, daytime highs in Rome are 34°C, while nighttime lows are 21°C. Finish up your sightseeing early on the 25th (Tue) so you can travel back home.